Auberge Nicolas Flamel in a Historic House ? 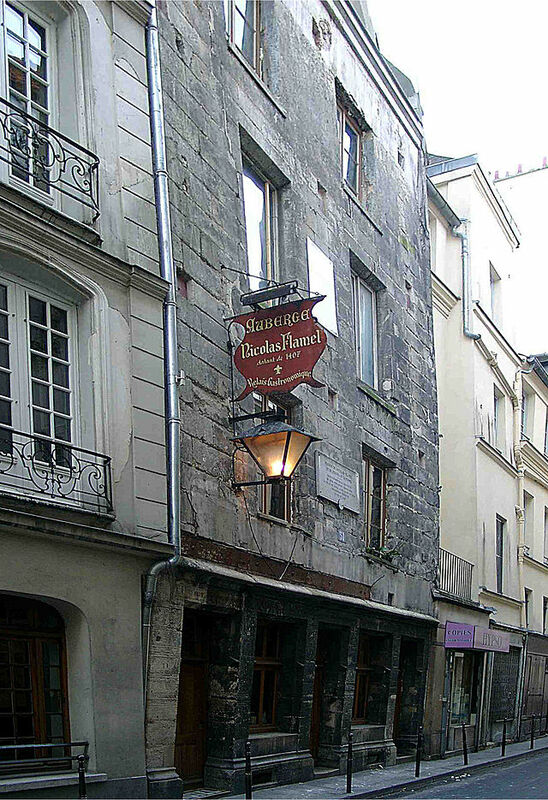 The house on Montmorency street was built by Flamel in 1407, and is now the oldest stone house in Paris. It’s here where Flamel is said to have carried out his experiments in alchemy. This was the legend of Nicolas Flamel that came after his death. He was a scribe, illuminator of books and manuscripts, and generous patron of the church and city. Finished in 1407, the house was used as a refuge for the poor, free lodging was provided in exchange for a few prayers for the souls of Nicholas and his wife. The house is now a restaurant, the cuisine is very creative with quality ingredients, rather expensive. Address ? 51 rue Montmorency, 75003 Paris.